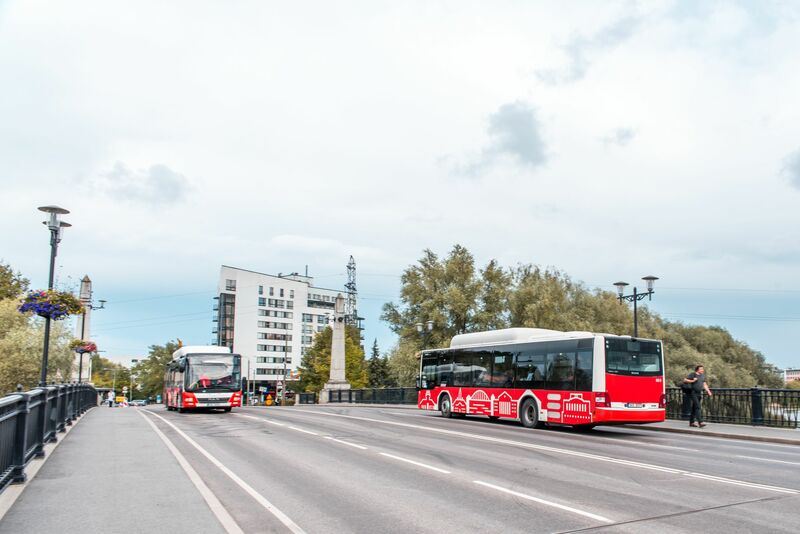 19 March / As of 1 July 2019, Tartu will be switching over to a new bus route network, which differs from the current network in terms of itineraries, the number of lines, as well as the frequency of departures. A series of public discussions were held last autumn for designing the route networks, with the numerous proposals made having been taken into consideration by the City Government when it came to planning the new route network. The proposals from more than 1300 Tartu residents covered better connections between the various city districts, children arriving at school and improved connections to socially important institutions. In addition, Tartu residents also considered it very important that popular bus route No. 6 be preserved and that bus traffic would not be concentrated solely across Võidu Bridge. In comparison with the initial plan, significant changes have been made to the route network. Among other things two new routes were added, with 13 bus lines set to begin operating in Tartu as of 1 July, along with two night routes. In response to the many requests by Tartu residents, current bus line No. 6 – which creates a connection between Tammelinn, Karlova, the City Centre and the Zoomedikum – will be preserved in the new route network. The same bus line also solves the problem of students in the area heading to Variku School and Tartu Waldorf Upper Secondary School. A very important topic cited at public discussions was the connection with the Ihaste City District. A connection along Ihaste Road was presented as a solution, which would ensure the opportunity to move quickly between Ihaste and the City Centre. In consideration of the movement of students living in Ihaste, a new bus line is being added to the route network, which will travel to Annelinn, Kristjan Jaak Peterson Upper Secondary School and the Kivilinna School, and which can also be ridden to the A. Le Coq Sports Hall. The initial plan also had a problem in terms of the connection with the Kvissentali City District. Two busses will begin travelling from the Kvissentali City District – one to Annelinn and the other in the direction of the City Centre – and students will be able to use both bus lines to travel to Raatuse School. The problem of an excessive strain being placed on Võidu Bridge was also raised at the public discussions, since the majority of buses would have crossed Võidu Bridge. In the final version of the route network, bus crossings were distributed across the Emajõgi River: now five bus lines will begin to travel across Sõpruse Bridge, five lines across Võidu Bridge, one across Vabaduse Bridge and one across Ihaste Bridge. Attention was also directed during public discussions to the possibilities for connections with many important institutions. As a result, four bus lines will be travelling to Maarjamõisa according to the new plan, instead of the originally planned two lines. In this way, three bus lines will be travelling to the Open Market according to the new plan, instead of the originally planned single line. A new circle line will be established, which will pass through all of the most important points of interest. It will be possible to reach the Lõunakeskus Shopping Mall, Maarjamõisa, the railway station, the City Centre, the Open Market, Health Insurance Fund, Vocational Education Centre (Põllu Street), Anne sauna, Eeden Shopping Mall, and the Annelinna Shopping Centre. An important change includes the creation of an additional bus line across the Betooni Street level crossing, with which children living in the Tähtvere City District will be able to reach Veeriku School. Within the Supilinn City District a bus will begin travelling along Oa Street, not along Emajõe Street as was originally planned. A great deal of concern was voiced regarding the loss of night lines, but after an analysis it was decided that the night lines will be preserved in their current form. Public discussion on the new route network took place in September and October of 2018. A total of more than 1300 proposals were submitted. The feedback received from Tartu residents at the public discussions was processed and underwent systematisation by the Tartu-based company OÜ Positium LBS, on the basis of which the route network was supplemented by WSP Finland OY. The goal of the changes is to create a bus route network that is user friendly and based on the actual needs of riders. On 1 July 2019, new gas buses will also begin serving lines and AS GoBus will begin to provide service on the bus route network.